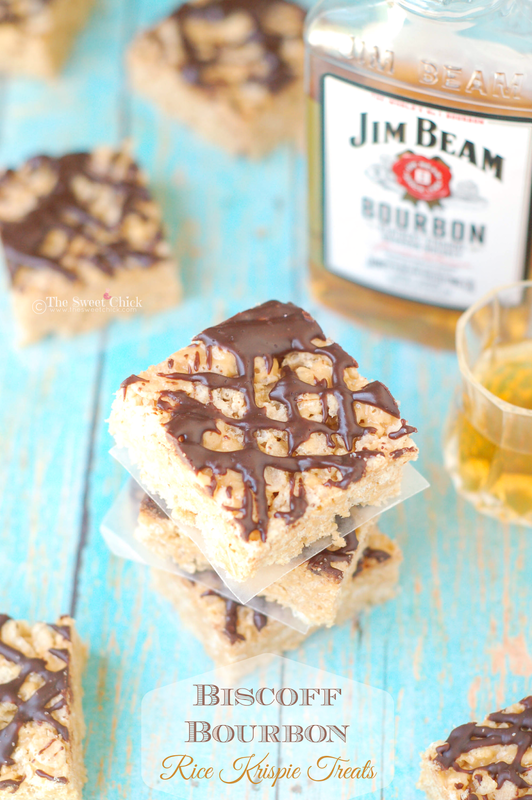 Now, I am not the kind of person to drink bourbon straight up, but I do love it in my desserts. It enhances the other flavors. I think alcohol and sweets go well together. 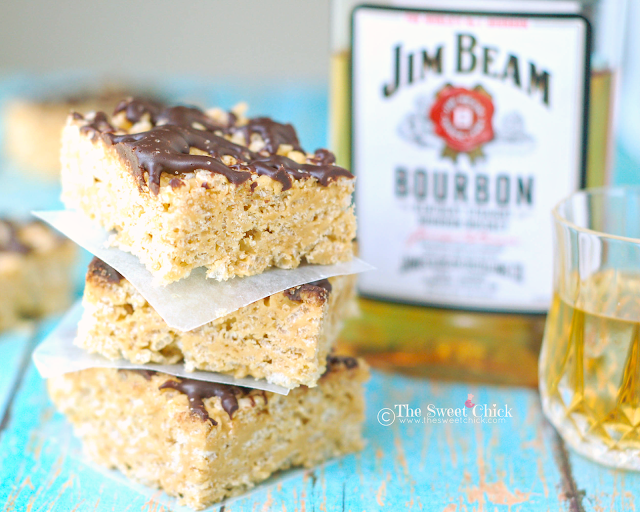 These treats are just as easy to make as regular Rice Krispie treats. 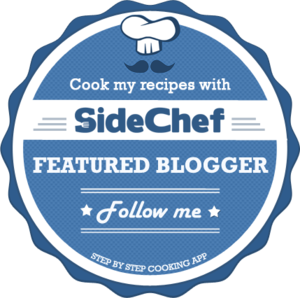 Just two extra ingredients. Mmmm, look at that. Don't ya want a bite? I couldn't put a whole lot of bourbon in the marshmallow treats without them being too soft, so I added more bourbon to the chocolate drizzle. 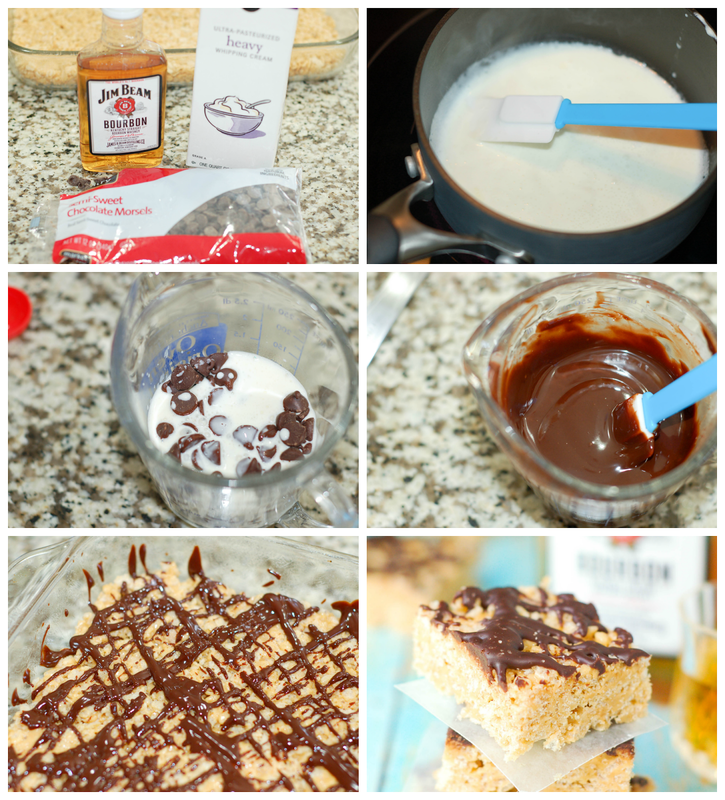 I just adapted the recipe for the chocolate whiskey sauce I used on my Triple Irish Krispie Pie. Both sauces are delicious. I kinda got lazy at this point and just used my measuring cup to pour on the chocolate sauce instead of using a piping bag. It still worked. I also sprinkled a bit of sea salt on top of the chocolate before it set. You don't have to, but it does taste good. 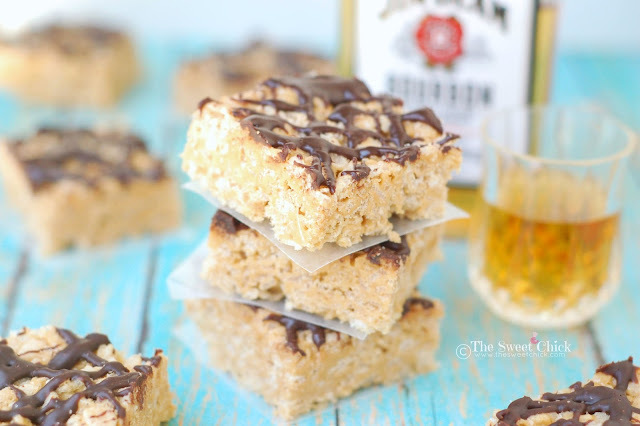 You are going to love the flavors and textures in these Biscoff Bourbon Rice Krispie Treats. They are soft, but crunchy, sweet and salty, with a little bit of alcohol. They would be perfect to bring to your Father's Day gathering. Just keep them away from the kids. They can eat the plain boring Rice Krispie Treats. 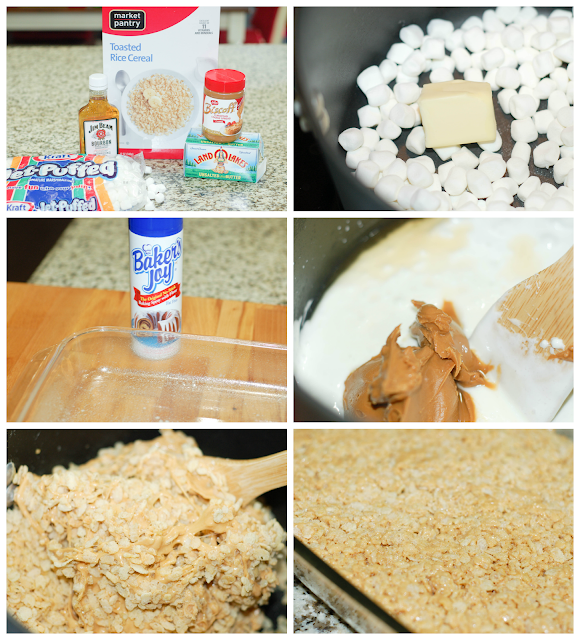 Remove from heat and add Biscoff and bourbon. Stir until completely mixed. Add bourbon and mix well. Remove the cooled treats from the fridge and drizzle the sauce over the treats. I just poured it with the measuring cup, but you can use a fork or spoon. I put the treats back in the fridge to set the chocolate before cutting them into squares. Once they are cut, you don't need to keep them in the fridge. If you want to add a little sea salt or sprinkles, do so before the chocolate sets.